17/03/2011 - Our very own Philly Gray & Laura Thompson participated at the very recent World Paralympics Track Champs in Italy. 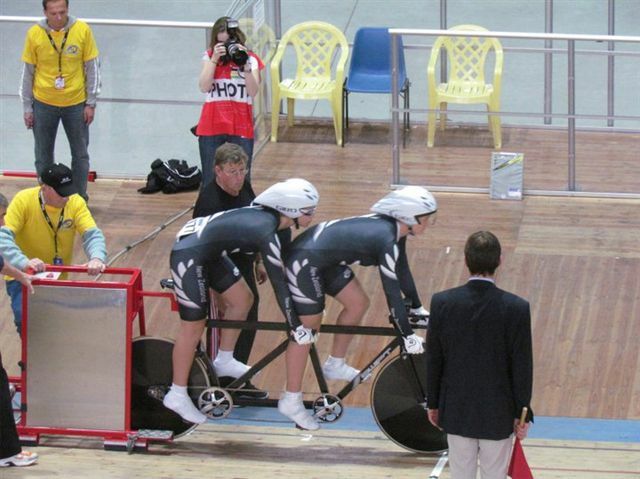 In the IP they had a fantastic result by being 5th in the world, an awesome effort when you consider how little time these two ladies have had to gel together on their "custom built" tandem. A huge congratulations from Cycling Southland to Jayne Parsons & Sonia Waddell who earned gold in the Pursuit and bronze in the Kilo Time Trial - an extremely proud moment for them on the podium.